A not-exactly pocketable point-and-shoot with a huge zoom. This review was published on November 01, 2013. Since then, this product may have been discontinued or replaced. Pricing and availability may differ from what is stated in the review. Let it never be said that Sony is afraid to take risks. This year alone, the electronics giant released a slew of impressive cameras, from full-frame compacts to super solid point and shoots. 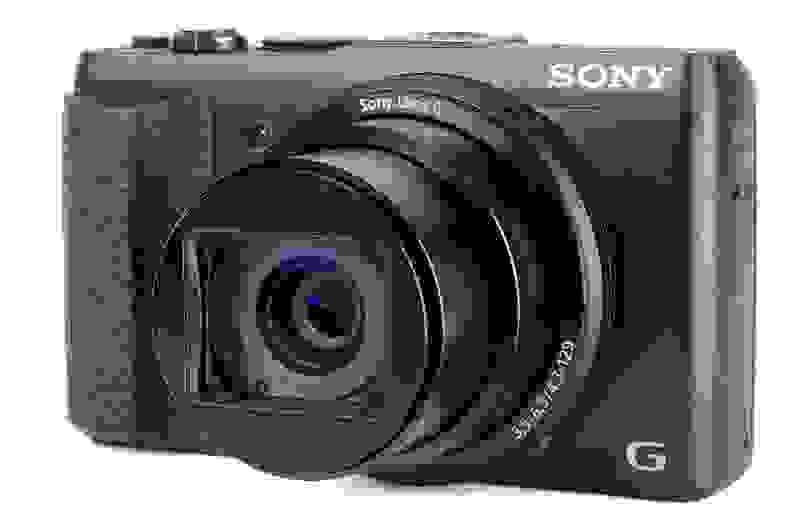 Though far more conventional, the Sony CyberShot HX50V ($449.99) is a mid-range travel zoom with a 20.4MP sensor and 30x zoom ratio—nothing to dismiss lightly. This particular camera has the performance to back the price, and in a category that typically doesn't deliver the goods for anything under $700. I can't believe it's not magnesium! Despite carrying a more affordable pricetag, that expensive-feeling case of the HX50V isn't actually metal. It's a running theme with the camera: virtually nothing on this model feels cheap or easily breakable. The HX50V may have heft—it has a certain bulk that is easier to latch onto with your hands—but it isn't so massive as to cause fatigue. Unfortunately, you won't be able to pocket this thing, unless you still wear massive jeans from the late 90's. This little dial will prevent a lot of frustration if your photos have exposure issues. Those of you familiar with modern point-and-shoots will find few surprises, though the PASM shooting modes are a welcome feature in conjunction with the intelligent auto modes. To the right of the mode dial is a standalone exposure compensation dial which comes in handy when you're stuck in situations that don't lend themselves well to proper exposure—shooting a shiny object or something with a very bright background, for example. Once in your hand, your thumb will naturally fall on the rear grip, obscuring many of the finer controls of the camera on the back. Supporting the body of the camera with your left hand will allow you to free your thumb of its comfortably-contoured prison and allow it to operate the very solid buttons. However, you may have some issues holding it with both hands if you plan on using the flash anytime soon. Though there's no viewfinder on the camera, you'll quickly warm up to the 921k-dot LCD. The available informational display options are very helpful as well—you can add things like histograms, a level, or guidelines to assist you in framing your shots. It may take you a while to get used to the menu system (especially if you're coming from another brand of camera), but ultimately Sony's option layout is far from being Byzantine or tough to decipher. A 30x zoom in what? If the HX50V is a stage, the star of the show is the 30x zoom lens (24-720mm equivalent) with a 20.4MP CMOS sensor behind it. Though the concept of an extended zoom camera is often fraught with performance and handling issues, the HX50V allows you to zoom to your heart's content without a second thought. Really, the only "broken window" is the zoom control slider—it's very noticeably the cheapest-feeling component of the camera. Though NFC connectivity and instant sharing are nice, they're not necessary for everyone. Though the HX50V doesn't exactly have all the premium options, it's a no-nonsense camera: most of the features and settings are geared towards picture-taking and only that. Considering this camera falls smack-dab in the middle of Sony's point-and-shoot lineup, that's really okay—NFC connectivity and instant sharing are a plus, but bells and whistles aren't necessary for everyone. Functional options are a different story, however. Sony's HX50V comes loaded with items like a multi-interface shoe to make use of external flash, electronic viewfinder, or microphone if you want to squeeze more out of your camera. Though I've already mentioned it, the standalone exposure compensation dial is hard not to gush about—usually in order to adjust this on a point-and-shoot you have to dig through the menu, but the HX50V does away with that frustration with a very solid-feeling dial. Speaking of juicing everything you can out of a piece of equipment, the rechargeable NP-BX1 battery is CIPA rated for 400 shots, so you won't be left high and dry on a trip out. Intrepid explorers may want to keep a spare battery on hand, but a full charge should last you for most of the day. Additionally, the HX50V packs a few in-camera editing options like red-eye reduction, but it also has some more artistic filters like watercolor and illustration effects. Even if you're not normally a fan of such things, it's always better to have features you don't use than want for features you don't have. Though it's not a RX100II, Sony's HX50V is no slouch when it comes to performance. In fact, we were honestly surprised by how sharp its shots were—especially considering that this is an area extended-zoom cameras typically struggle with. Much of this is due to the camera's software, but results are results—especially if you're going to be using this for sharing photos of friends and family on the web. Whether a curse or a blessing, the HX50V has a limited ISO range. Where the HX50V is a little uninspiring is color accuracy. We just could not coax out a low level of color error—even in the most-accurate standard mode, you can expect a somewhat small level of color variance. That's not surprising, though—Sony intentionally oversaturates some colors to make more vivid photos—but pros looking for a casual camera may want to shell out a little extra for a higher model if super-accurate color performance is a priority. Shooting with a higher ISO settings is a recipe for added noise. Not to worry though, as the camera really keeps a lid on it at lower ISO settings. However, shooting at low ISO means a greater need for more ambient light, and that limited range of usable sensitivity hints at a problem we found in the lab: poor low-light performance. Despite this camera's impressive scores with sharpness and noise when there's an ample amount of ambient light, it has a very tough time with low-light video and stills. For this reason, this camera will perform much better on vacation taking scenic photos than it will at parties or other nighttime events. If the bulk wasn't enough of an issue to deter you from grabbing the HX50V for a night out, let the lackluster low-light performance convince you. Now that smartphones are starting to pull the rug out from under the low end of the point-and-shoot market, camera companies have to make a strong argument for spending hundreds of dollars more on their point and shoot cameras. To that end, Sony has debuted some interesting consumer options this year, and the HX50V belongs in that impressive lineup—it's a good camera. For all the camera's faults, it's almost unheard-of to find such a monster zoom on such a tiny camera. To have it work as well as it does is no small feat, and definitely worthy of your attention if you're the type of person that likes traveling or doesn't want to deal with a DSLR-sized camera to get that huge zoom ratio. Icing the cake is the fact that where most extended zooms have sharpness issues, the HX50V has none. However, that huge zoom comes at the cost of poor low-light performance, so beware. For all the camera's faults, it's almost unheard-of to find such a monster zoom on such a tiny camera. That's not to say that this camera doesn't have its shortcomings—it will leave you frustrated if you shoot a lot of low-light stills or video. 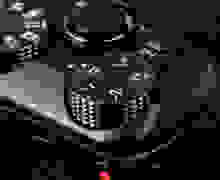 However, these pitfalls are kept to a minimum, and you'd be hard-pressed to find a more complete point-and-shoot for the money. The HX50V will give you lots of sharp, high-quality 4 x 6 prints, some good 8 x 10s or facebook photos. If you need something more (and you're willing to spend to get it), you may look to the Sony RX100II or the older RX100 if you want to save some money on the upgrade. If you're willing to sacrifice a little bit of zoom to knock $100 off the price, you might want to check out the Nikon S9500. If you want a longer zoom, you're going to have to ditch the compact frame offered by cameras like the HX50V and look to something more like the much-larger Canon SX50 HS.